There are a variety of credit card crimes on the books here in Maryland, and perhaps the most common is theft. Stealing a credit card is treated differently than stealing a good or not paying for a service because the card it self has no real value. Without actually using the card, it is not worth the plastic that it is printed on. But these cards have large potential values depending on the limits that the banks set, and for that reason taking or obtaining one without permission is a separate crime. It is also illegal to receive a stolen card that if you believe it may have been stolen, lost, or misdelivered. If a credit card is mistakenly sent to a person’s home or place of business and that person retains it with the intent to use it, or transfers it to another person it is also a crime. Finally, it is illegal to sell a card unless you are the issuer, and it is illegal to buy one from anyone but the issuer. You cannot classify this crime in levels as you would other theft crimes such as less than $1,000 or less than $10,000, so all cases are classified under one law. 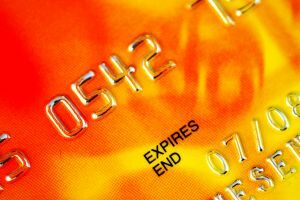 The penalty for credit card theft is a maximum 18 months in prison, and a $500 fine. A person can be charged with one count for every card that is stolen, and there is nothing preventing a judge from sentencing a defendant to consecutive jail time or probation. This crime is often charged as part of a theft case, because people are rarely caught unless they attempt to use the card. But there have been cases where credit card theft is the only crime that appears in a charging document. This typically occurs when the police perform a search of a home or vehicle, or a search incident to arrest and find one or more cards that are in the wrong hands. We have seen cases where the cops were performing a simply inventory of a car for towing purposes and came across a rubber banded stack of 20 stolen cards. Not surprisingly, the defendant in this case was charged with a 20 count information. Simply possessing a card that is not yours by itself will not be enough evidence for the state to prove a theft case. The Herbst Firm recommends that if you are charged or are under investigation for this crime that you do not speak to law enforcement. Many times cops will not be able to prove this crime unless the defendant gives a statement linking an act or intention to use with the card. Benjamin Herbst has handled a variety of credit card crimes including theft and illegal use and sale. He is standing by to offer a free consultation to anyone with questions about this misdemeanor offense in Maryland. Keep in mind that the best time to contact a criminal lawyer is right away. We will do everything in our power to assure that the police are not able to build a stronger case against you or a loved one, and we will aggressively fight for you if charges are filed.